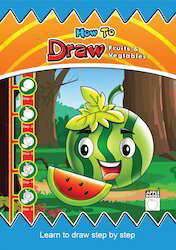 We are a leading Exporter of how to draw cartoons books, how to draw transport books, how to draw domestic animals books, how to draw birds, how to draw wild animals and how to draw fruits & vegetables from Chennai, India. Aspired by the latest trends of markets, we are offering How To Draw Cartoons Books. 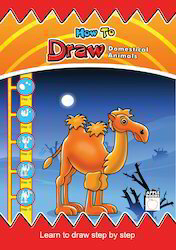 These cartoon books are designed to assist children in learning how to draw cartoons step by step. Our offered cartoon books help kindergarten students to recognize colors through association with pictures. Providing a strong foundation for kid's early learning needs, it is suitable for personal, school teaching as well as for use at homes. 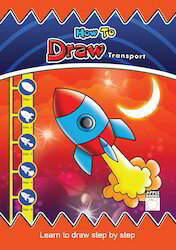 We are occupied in offering an exquisite range How to Draw Transport Books. Our offered transport books helps in improving concentration & observation power of children with the worksheet assisting in reinforcing concept & recognition of colors and color words. The provided transport books are great way to have fun while children develop eye-hand coordination and color concepts. Also, these transport books are completely checked by well-informed experts to ensure correct contents. 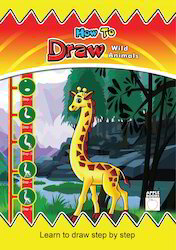 Our firm specializes in offering an exquisite collection of How To Draw Domestic Animals Books. The offered animal books are suited for kindergarten activities that are fun and instructional to go through as well as help in engaging child's interest in Kindergarten and initial school years. Along with that, these animal books are checked by quality experts in order to deliver a defect free range from our end. 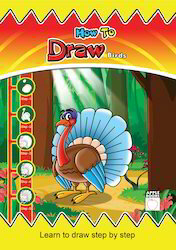 We are an acclaimed name engaged in offering our precious clients a superior quality range of How To Draw Birds. Offered birds books are printed by using the premium grade inks & designed using high quality of paper employing advance machines at vendor’s end. We offer our birds books in diverse sizes & customized options according to the client’s demand. Our valuable customers can avail these birds’ books from us within a given time frame at affordable rates. 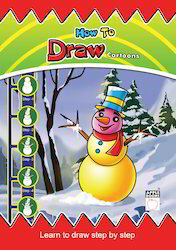 Looking for How To Draw Series ?